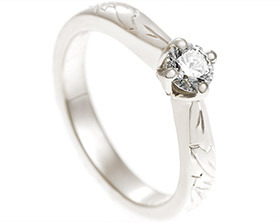 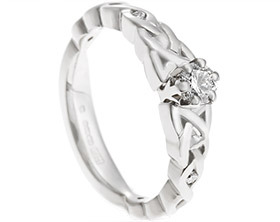 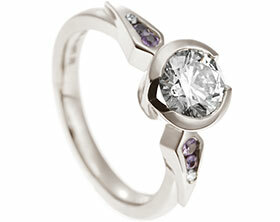 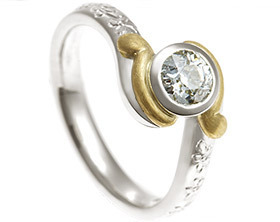 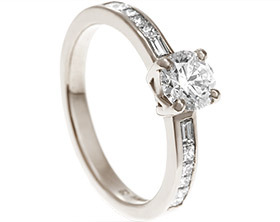 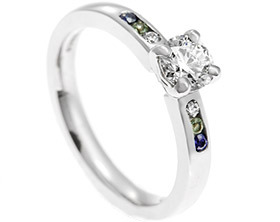 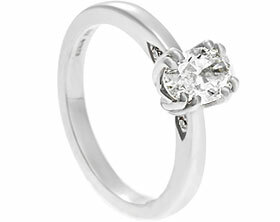 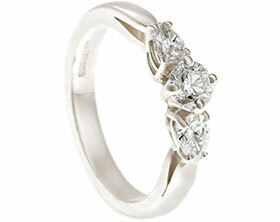 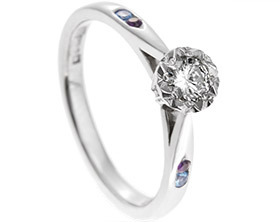 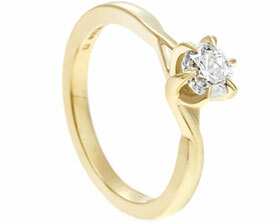 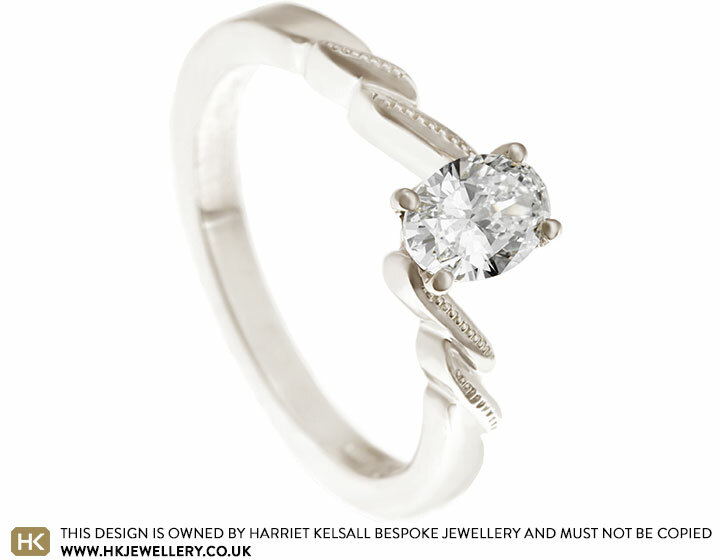 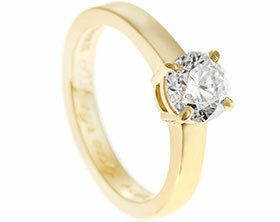 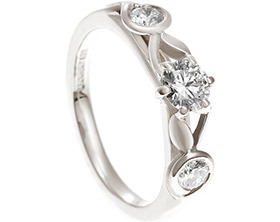 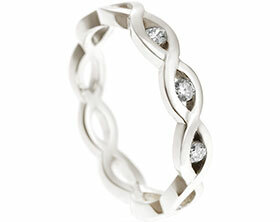 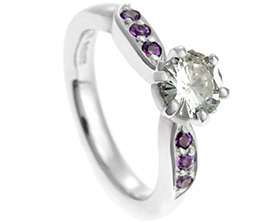 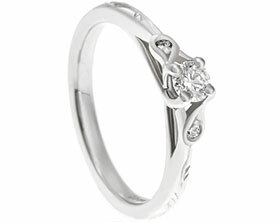 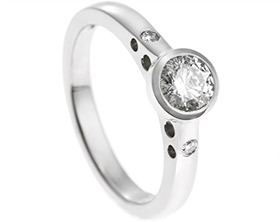 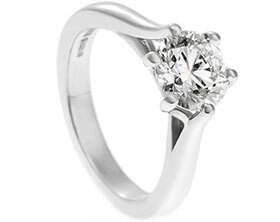 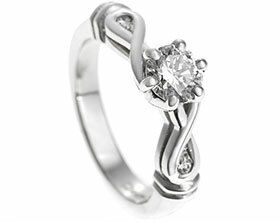 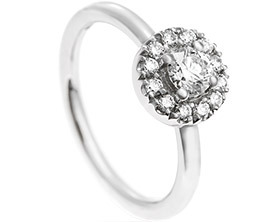 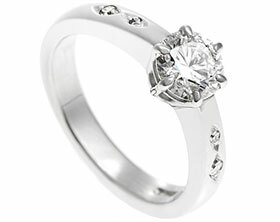 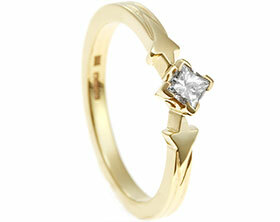 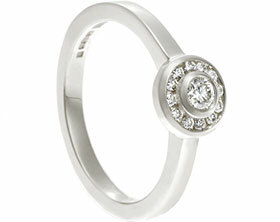 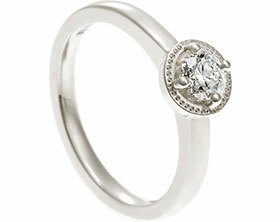 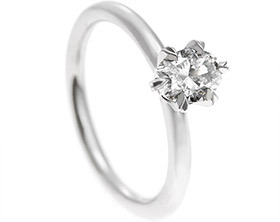 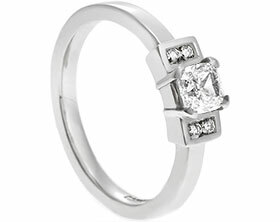 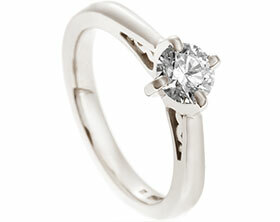 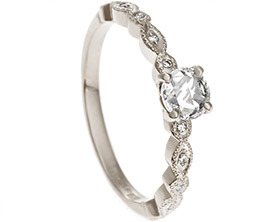 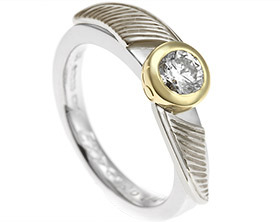 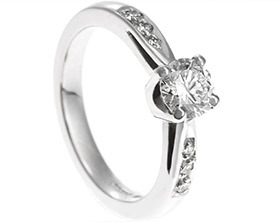 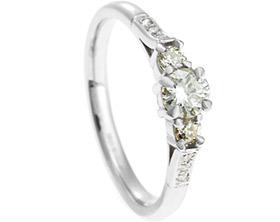 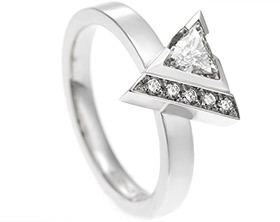 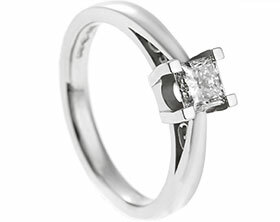 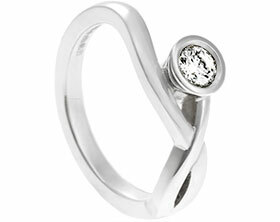 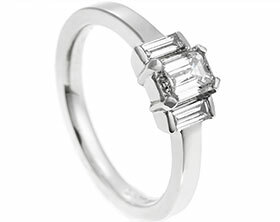 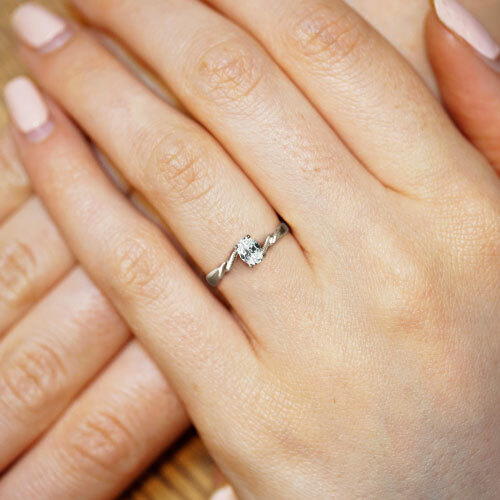 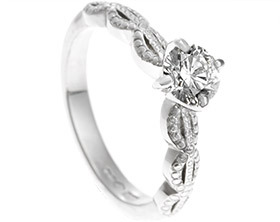 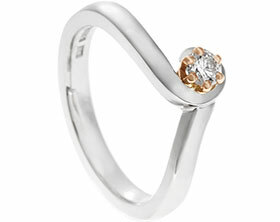 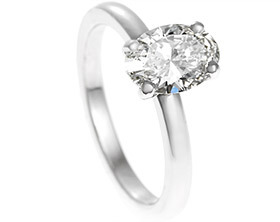 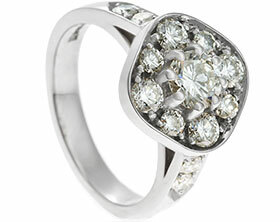 Handmade in Fairtrade 9 carat white gold, this twist style engagement ring offers a unique take on a solitaire design. 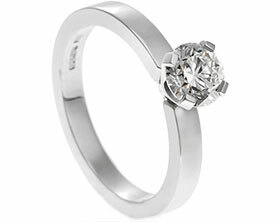 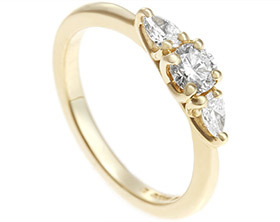 The focal point of the ring is a 0.50ct oval cut G VS1 diamond which is held in a classic four claw setting to showcase the beauty of the stone. 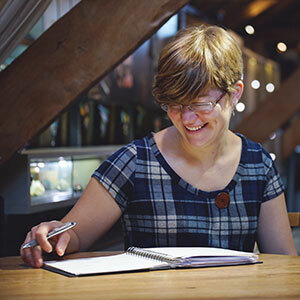 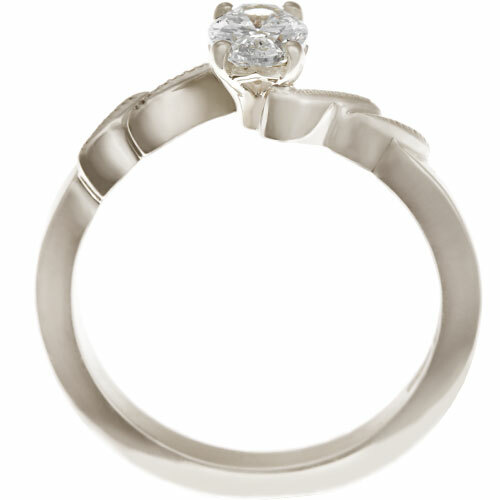 Each shoulder has been crafted into a subtle twist of precious metal which flows up to the diamond and forms the claw setting for the stone, creating a striking asymmetric design. 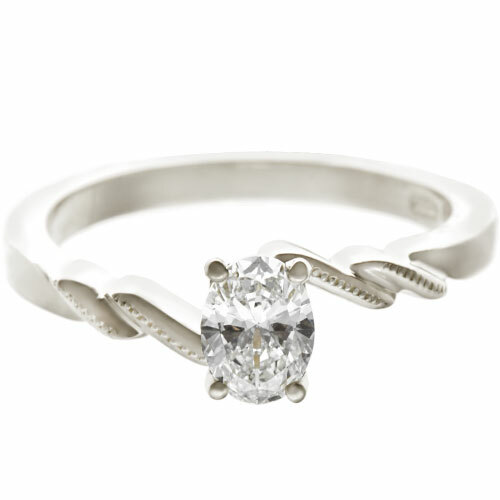 Graining detail on each twist adds a vintage feel to the engagement ring whilst enhancing the delicate fluidity of the polished metal. 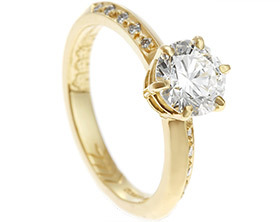 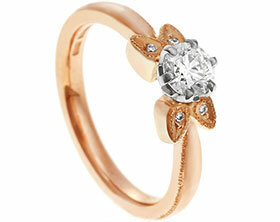 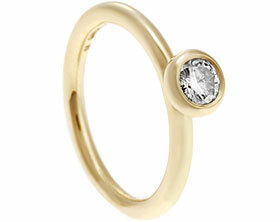 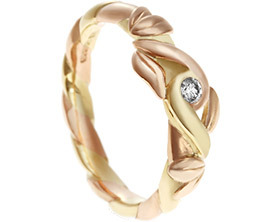 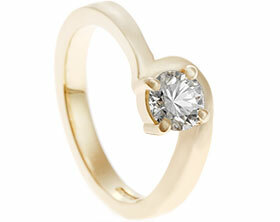 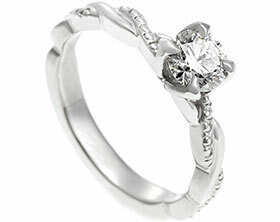 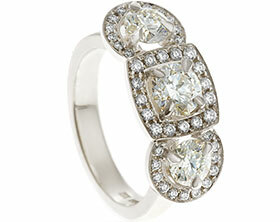 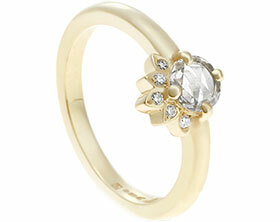 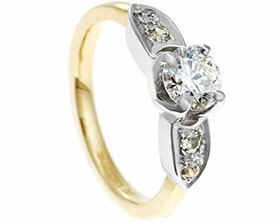 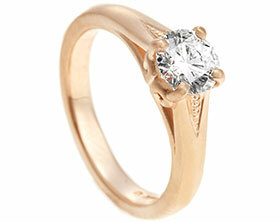 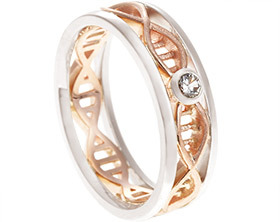 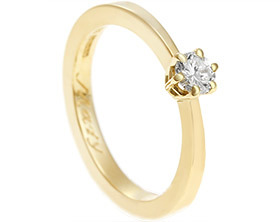 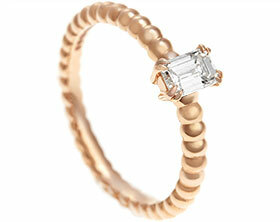 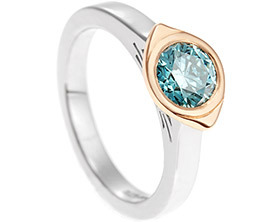 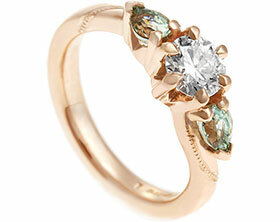 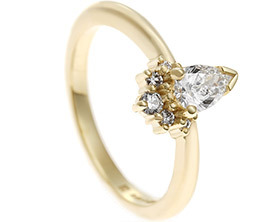 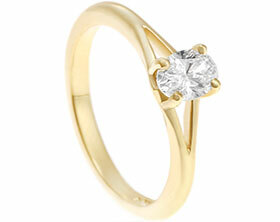 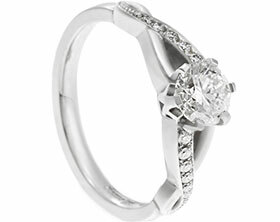 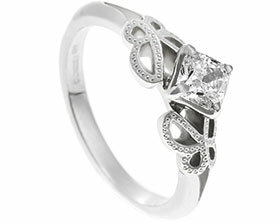 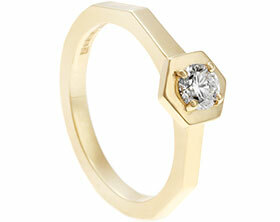 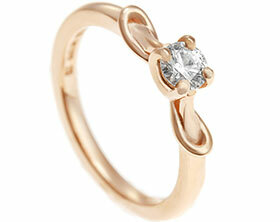 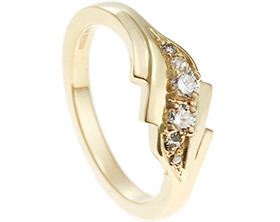 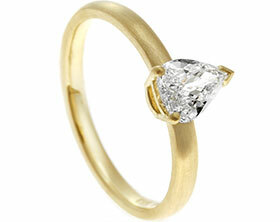 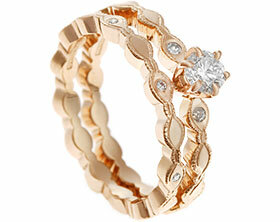 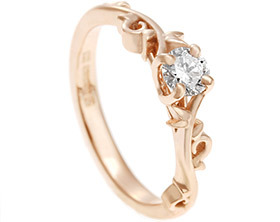 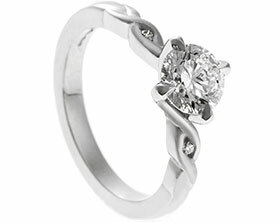 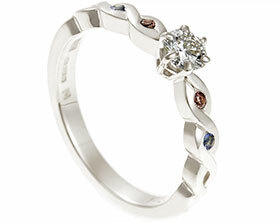 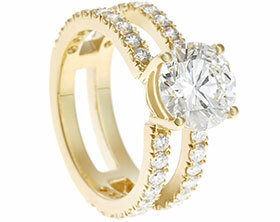 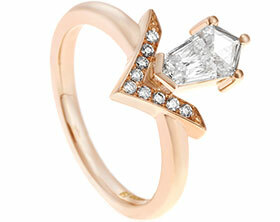 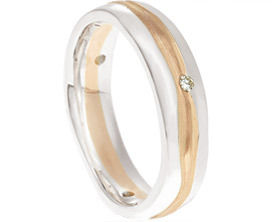 The subtlety of the twist ensures that this engagement ring will sit comfortable alongside a gently shaped wedding ring.